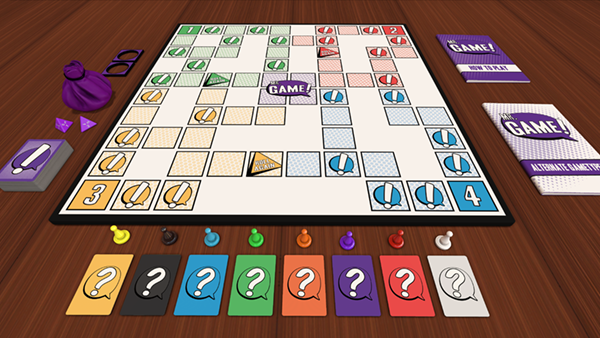 05/06/2016 – Update v7.3 Mr. Game! DLC, Locked Physics, Stability Improvements! Another great update has arrived, with the addition of our latest DLC, Mr. 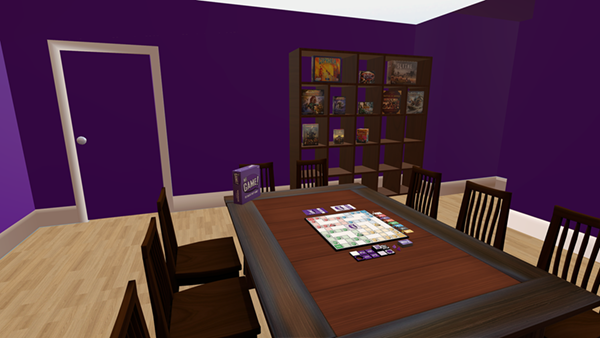 Game!, that has an awesome themed “family game night” room. We have also added Locked Physics mode, which has been a requested feature for quite some time. While Semi-lock is great for reduced physics, Locked physics takes it even further, giving you more control of placement without having to worry about knocking something over. With the addition of Global Alert Messages, you will get notifications in the top center of your screen for a brief amount of time that lets you know about any errors that occur. If you miss the message, it will still be posted in your chat messages. You can now also get notified when a new update is out or when we need to reboot the master server. Just be sure to be opted into global chat to receive these notices! And last but not least is a major increase to stability as we located and fixed a major memory leak that could have been the cause to a lot of those random crashes. Read on below to find out everything in this update! Be sure to read through our Knowledge Base to find tips, tricks and all kinds of information you didn’t know about. The Knowledge Base is regularly updated. Our next DLC Mr. Game! by Game Revenant is now live! Mr. Game! Is on sale for 30% off its first week of release. You can read more about Mr. Game! on the official website. 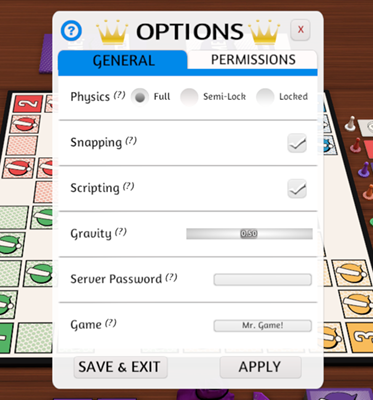 In the Host -> Options, you have a choice between Full (regular physics), Semi-Lock (reduced physics) and the new Locked (minimal physics) mode. Locked Physics is best for serious games or game building where you don’t want the physics to mess you up. There is no throwing, clumping, lowering, or pushing and objects will always auto raise in Locked mode. You will now see messages on the top center of your screen when there are any errors. Messages stay for only a couple seconds before fading out. Important messages (updates, server reboots) will be shown in pink with [BROADCAST] next to it in the top center of your screen as well as in global chat. To get [BROADCAST] messages, you need to be opted into Global Chat. You can opt in to Global Chat by opening the Chat settings and making sure the IRC box is checked. Fixed memory leak mostly caused from ALT zooming. Optimized meshes and fixed meshes memory leak. This memory leak could be the reason why some of you had random crashes every so often. Alt zoom now automatically picks tallest dimension for zoom. Tall things like figurines, you’ll now see from the front. ALT zoom now works on infinite bags by showing the infinite object. Improved object clipping on screen. Cards now support transparent images. This will work great for any games that require cards that have some type of transparency. When transparent cards are stacked, only the top card will be shown as transparent, but cards underneath will not show through. Lua Print now works with any color. Fixed Moving Objects with Multiple Colliders out of a Scripting Zone fires Enter Event and Leave Event. Fixed multiple tabs being selected in Lua editor. Fixed Lua interactable locking the object. Fixed getScale() returning an incorrect value. Fixed yaw and pitch parameters on Player.lookAt(). Added onLoad() as optional alternate spelling for onload() (they both work and do the same thing). Added optional parameter to onLoad() for the save string. Added script_state to Object and Global. Deprecated callLuaFunctionInOtherScript(). Use obj/Global.call() now. Returns the value returned by the called function. Added player who clicked the button to button click function parameters. Text is less pixelated on buttons. Increased the max size of the text by 2.5 times. Made buttons look more rounded / more like buttons. Added warning message when playing with someone on your block list when you aren’t the host. There’s now less explosion for big objects that re-spawn after falling off the table. PNGs that have no transparency use less memory and gpu usage. Moved the song “On Hold” from the Cinematic category to Children’s (Ha ha). Fixed issue where all items in the Saved Objects menu would overlap into one line. Fixed host ‘Notepad’ permissions, so it now also works on the Notebook. Fixed issue with custom objects falling through the table over and over again when spawning on a grid. Fixed issue with hover flip bugging out for certain objects before grabbing them. Fixed issue when pressing tab in an input field moves the pointer to the center position. Fixed issue with the red spacer in public deck searching. Discuss this update on our forums!